The piece of string is quite disappointed, and walks off round the corner. 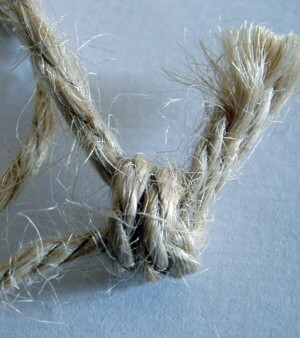 Not to be deterred, it ruffles its ends and ties a knot in its middle. To which it replies “I’m a frayed not”. This entry was posted in Humor and tagged humour, joke, string. Bookmark the permalink.